April 13, 2019, 8:18 a.m.
One obvious side effect of Theresa May securing a Brexit extension on Wednesday evening is that Britain will now have to take part in European parliament elections next month. 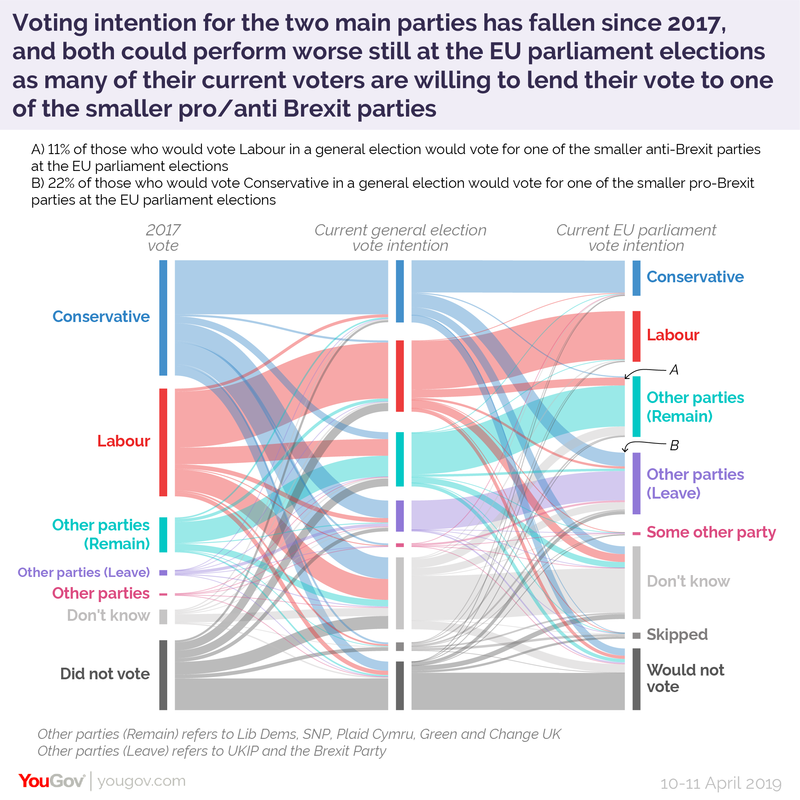 YouGov’s first voting intention poll of the campaign shows large swathes of Britons turning their backs on the main two parties and moving towards groups with harder Brexit positions. The two main parties still top the ballot, with Labour slightly ahead on 24% and the Conservatives on 16%, but neither are far enough ahead for comfort of the Brexit party on 15% and UKIP on 14%. Meanwhile, the Greens and the Lib Dems are on 8% each and Change UK is on 7%. We’ve seen a similar drop in support for the two main parties in our standard Westminster voting intention: the two party vote share has dropped down from over 80% in the 2017 election to just 60% now, with Labour on just 32% and the Tories on just 28%. An additional problem for the Tories and Labour is that a lot of voters who would support them in a general election are happy to lend their vote to one of the minor parties in a European election. This is particularly true on the Conservative side, where lots of Leave voters are dissatisfied with how the Government has handled Brexit. Just 52% of those who would back the Conservatives in a general election say they’ll do so in an upcoming European election – while 12% will instead vote UKIP and 10% for the Brexit party. At this stage, 13% don&apos;t know how they will vote. If we look at similar numbers for Labour supporters, 17% say they will still vote for another party: mostly to more pro-European parties such as the Greens (4%), the Lib Dems (3%) and the new party Change UK (3%). Just over one in ten (11%) currently don&apos;t know how they will vote. Can Farage pull it off again? 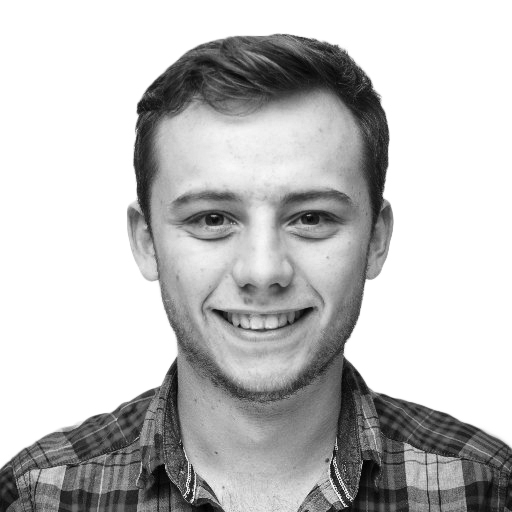 In 2014 Nigel Farage shocked Westminster by leading UKIP to victory in the last European parliament elections: the first time Conservatives or Labour hadn’t come first in a nationwide election since 1906. Since then he’s left UKIP and formed the Brexit party to fight this round, and one of the big questions for the next few weeks will be whether he can pull it off again. As things currently stand almost a third of voters (29%) are supporting a strong pro-Brexit party, but they are almost equally split between Nigel Farage’s current and previous outfits, in third and fourth place respectively. 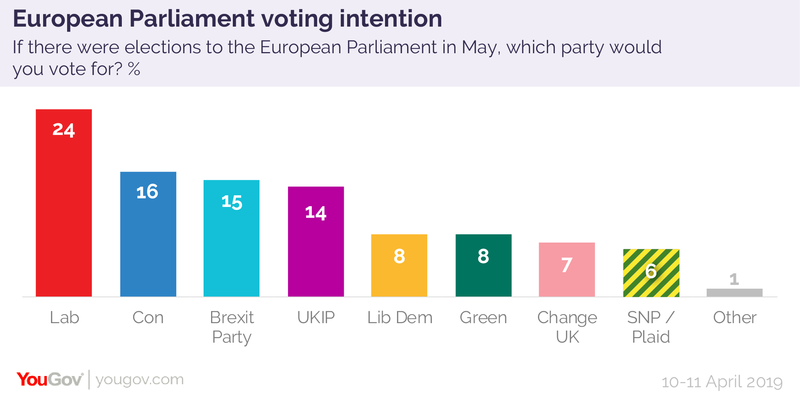 But in the case of the Brexit party, they have achieved this vote share as a force that is still fairly unknown, with the fieldwork for this poll taking place before the party officially launched on Friday. Farage is also still relatively popular amongst those key voters he will be hoping to bring over from UKIP.